PROGRAMMABLE THERMOSTATS AND SMART THERMOSTATS- WHAT IS THE DIFFERENCE? As technology continues to evolve, it should not come as a surprise that the design and functionalities of thermostats have progressed as well. 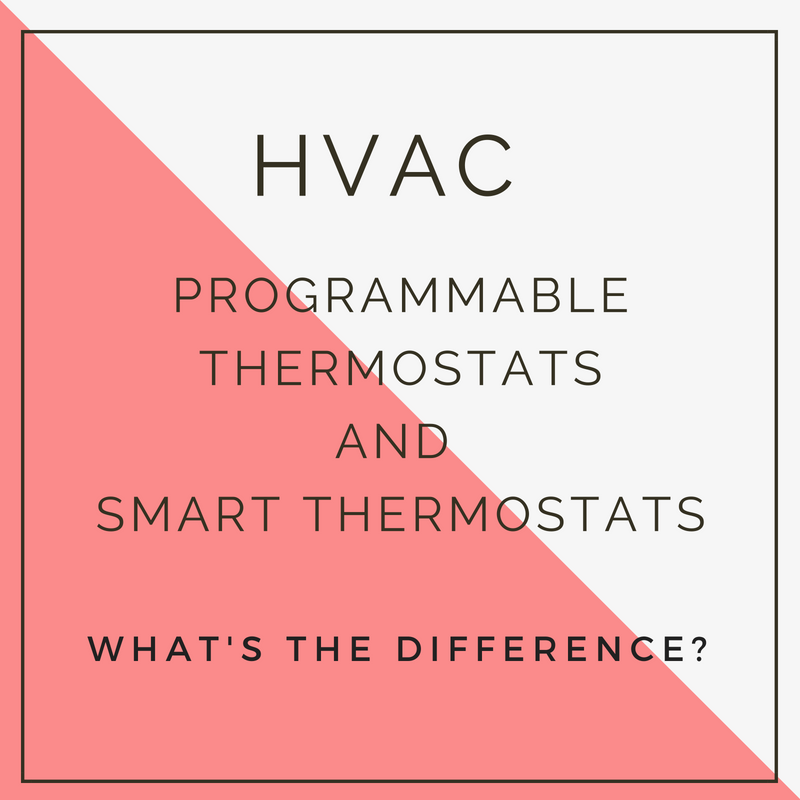 While both Programmable Thermostats and Smart Thermostats help to regulate temperature and to manage energy bills, there are significant differences between the two types that are important to understand. 7-Day Model: This model allows you to create a different temperature schedule for each day of the week and offers the most flexibility. 5+2-Day Model: This model allows you to create one temperature schedule for weekdays and another schedule for weekends. 5-1-1 Model: This model allows you to create one schedule for weekdays, one schedule for Saturdays and one schedule for Sundays. In addition to the thermostat models, there are four pre-programed settings for each day: Wake, Day, Evening & Sleep. By upgrading to a programmable thermostat, a homeowner can save up to $180 a year if the thermostat is programed correctly. According to Energy Star, "The $180 savings assumes a typical, single-family home with a 10-hour daytime setback of 8°F in winter and setup 7°F in summer, and an 8-hour nighttime setback of 8°F in winter and a setup of 4°F in summer". Smart thermostats are WiFi enabled thermostats that automatically adjust temperatures throughout a house by way of an Internet-connected device, such as a smartphone or a home automation system. Unlike a programmable thermostat that requires programming directly on the device, a smart thermostat can be programed and adjusted remotely via an app and an Internet connection. In fact, some smart thermostats can detect when a homeowner is not at home and can automatically switch into "Away" mode to help save energy. Establishing a schedule that automatically adjusts to energy-saving temperature settings when you are asleep or away from your house. Delivers trackable and manageable data on home energy use. Allows a homeowner to control and adjust the heating and cooling remotely. According to Energy Star, "if everyone used a smart thermostat, we would save 56 trillion BTUs of energy and offset 13 billion pounds of greenhouse gas emissions each year, equivalent to the emissions of 1.2 million vehicles". Not only does our company want to help keep you comfortable and save you money, we want to help educate you on HVAC topics and issues as well. If you have any questions on programmable thermostats or smart thermostats, please call our office at 610-642-6323 or visit our website at www.bobsredtrucks.com for more information.